Cats Can Play Musical Instruments Too! 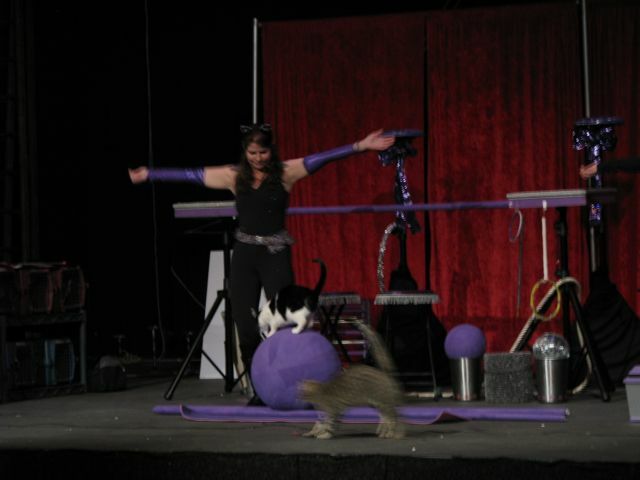 The Acro Cats show came to Atlanta for a few days, I went to see them perform on opening night. The grand finale consisted of a chicken playing the cymbals while five cats played various musical instruments surprisingly well, given that they were cats. I’ve been basically watching cute cat videos for as long as youtube has been around, so on a deeper philosophical level, its kinda feels like finally seeing that band you really like perform live. Bowling: Gregory the Groundhog vs Tuna the Cat. Tuna got a strike and won the match. 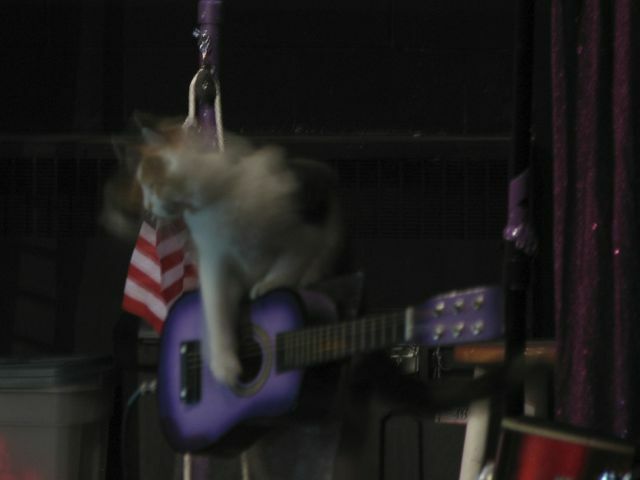 Yeah, a cat playing a guitar. Most impressive. 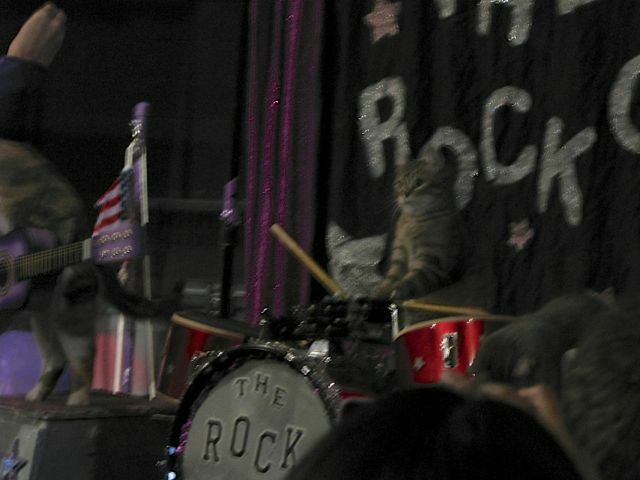 The lighting wasn’t great, but the musical talent was, given that the band members we cats. This entry was posted in Hobbies, Vacation. Bookmark the permalink.